D.Y. 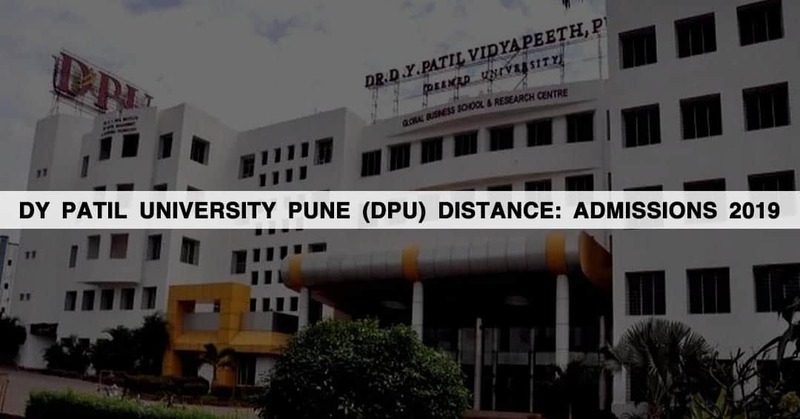 Patil Vidyapeeth (DPU), Pune is a deemed university which is located in Maharashtra. It offers education in different fields such as medical, dental, engineering, paramedical and management. The university offers courses in undergraduate (UG), postgraduate (PG) and research programmes. The applicant should be above 18 years of age to be eligible for appearing in the AIET. The candidates should possess any Bachelor’s degree/ any other examination. Candidates should be an Indian national and must have completed 18 years of age to be eligible for appearing in the AIET-2019. Candidates can apply on www.dpu.edu.in.